Acutely aware of the fragility of our weather, I took the opportunity to give myself a little time off from books and films to disappear into the Trossachs at a remote and silent venue away from the crowds... the unlikely bouldering venue of Ben A'an. A fine enough venue for trad climbing and soloing the excellent tiers of schist (now a little polished! 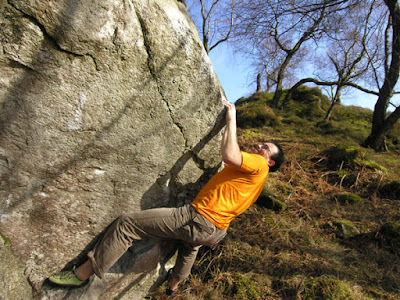 ), it was a surprise to come across an excellent boulder in a sunny cluster under the lowest crags. The bracken was crisp and flattened, the air was cool and the sun warmed my back... the blue sky rang like a bell... you don't let these days escape if you can help it! I had done a few problems on the boulders here before, including a nice 6c through the Magic Tree boulder's roof, but this was really an escape from a line I was too weak to hold last visit. This time I felt a little stronger and attacked it quickly before the sun warmed the quartzy crimps and slopers too much and before my skin deteriorated. The direct went a little quicker than I expected and a little easier than I imagined. It's basically a sit start to a shelfed overhang, using a strong heel hook to gain a poor lip pinch, then it twists and crosses through on excellent crimps and slopers to a crux sequence on toe smears to gain the finishing rockover sequence... all in all a magical problem and worth the walk up the hill. 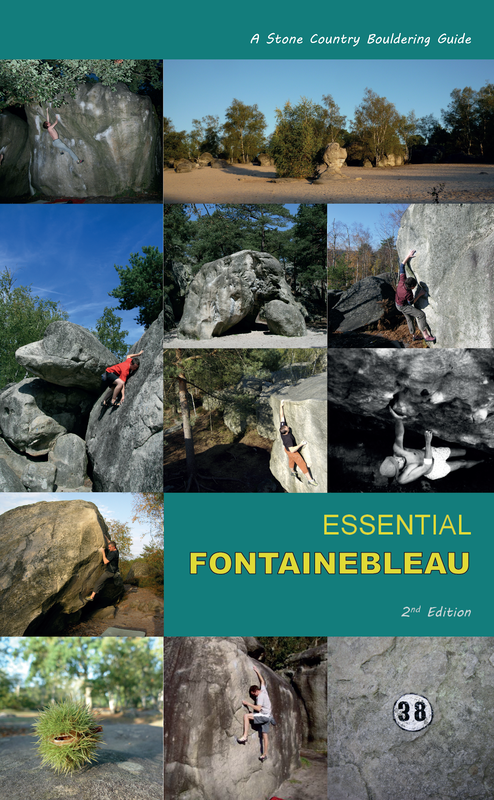 Hocus Pocus Font 7a is by far the best problem here, I added a super direct at maybe 7b but the original method proved the more aesthetically satisfying (something you can muck about with in bouldering that maybe you can't on a route). 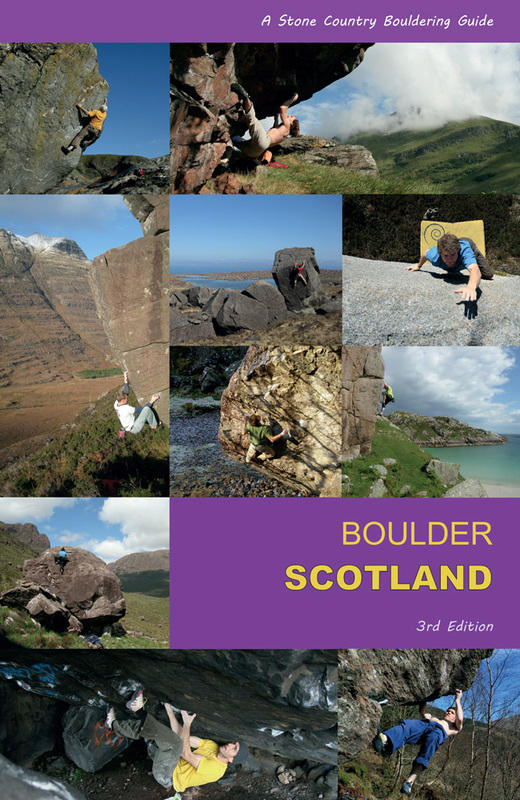 The boulder is located down the hill 200 metres at the first burn once you clear the forest, before the hike up to the summit of Ben A'an, well below the trad crags. There are a dozen or so problems, mostly in the Font 5 to 6b range. The weather is about to turn, it's been a good couple of weeks for the bouldering community... lots of new problems for everyone. We got some great film footage, 'Elements' will be here soon!